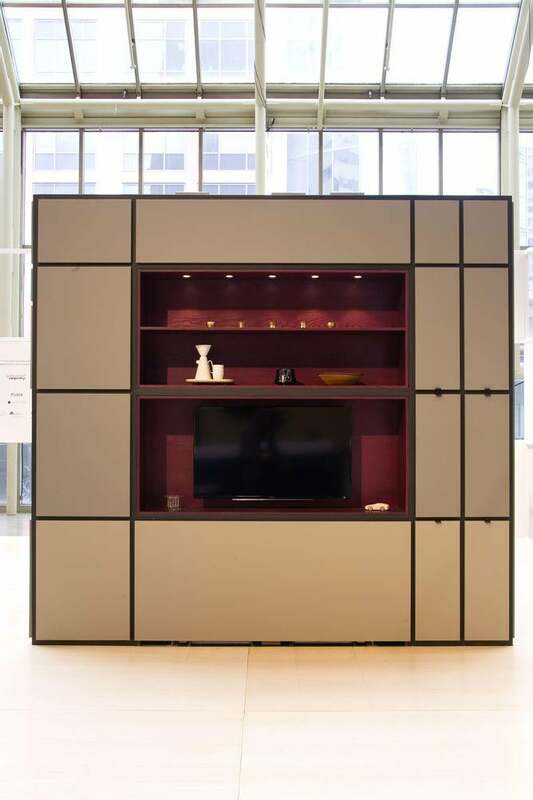 Cubitat from Urban Capital and Nichetto Studios is a compact home in a box. 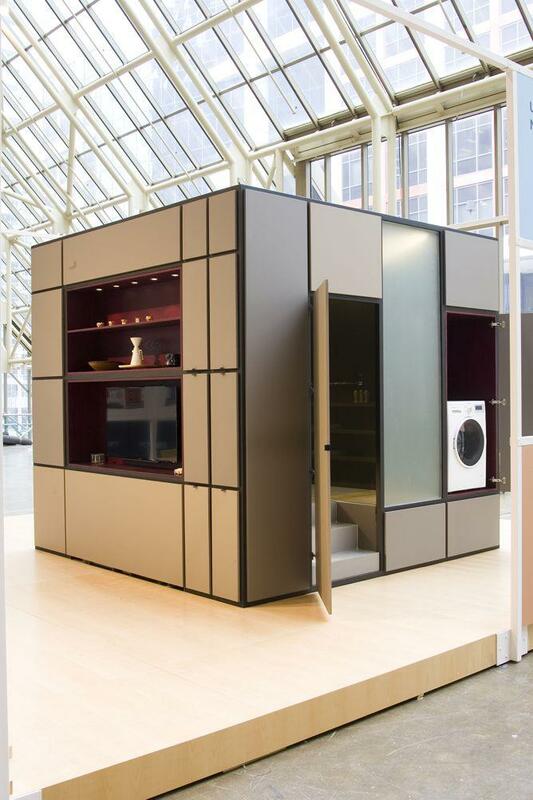 Cubitat is a 10-by-10-by-10-foot cube that houses a kitchen, bathroom, bedroom, and storage. Those on a quest to rethink small-space living build tiny houses, install pop-up rentals on vacant lots, and design portable 10-square-foot microkitchens tucked inside armoires. 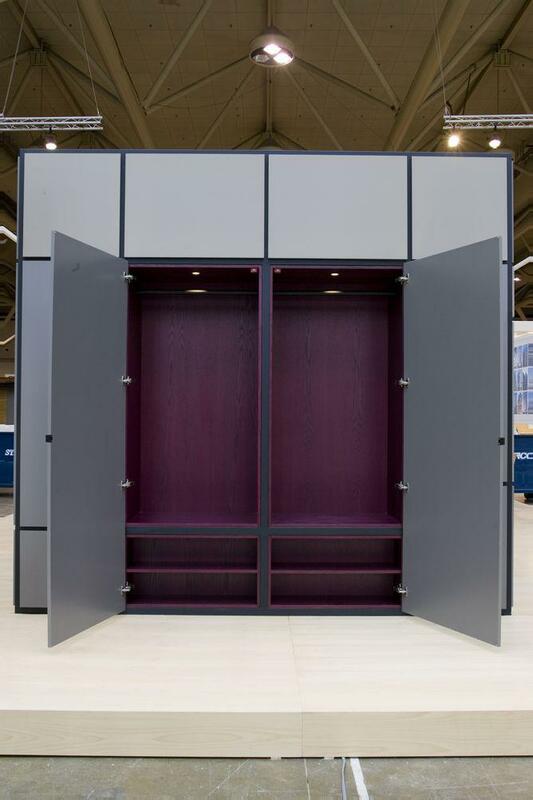 Presented over the weekend at Toronto’s Interior Design Show, Cubitat is a 10-by-10-by-10-foot cube that houses a kitchen, bathroom, bed, laundry, and storage. The pull-out bed’s headboard faces the TV. Once plumbing and electric are hooked up, the structure can theoretically turn any dwelling into what the developers are calling a “plug and play” living space that looks something like a giant’s Rubik’s cube and seems to beg to be painted in Mondrian colors. The bed is hidden away when not in use. 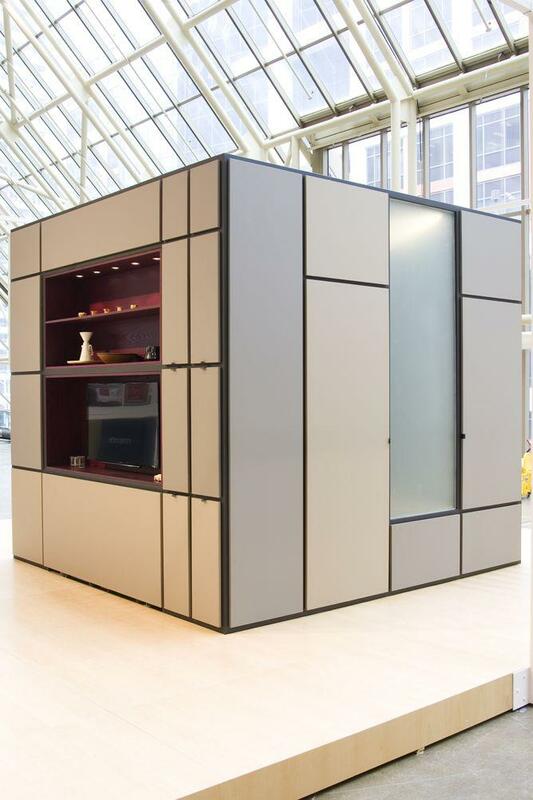 A collaboration between Toronto-based Urban Capital developers David Wex and Mark Reeve (the team behind Smart House microcondos) and designer Luca Nichetto, the prefab cube—which is still in the prototype phase—can be customized online and shipped to its destination. The bathroom and laundry areas are to the right of the sleeping space. The bathroom and laundry area. 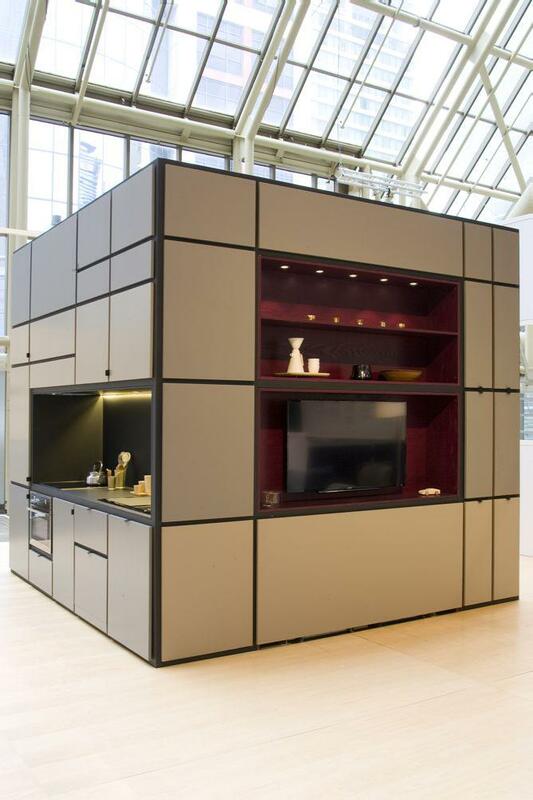 The concept is appealing but problematic: For the moment, Cubitat comes assembled in one giant piece. 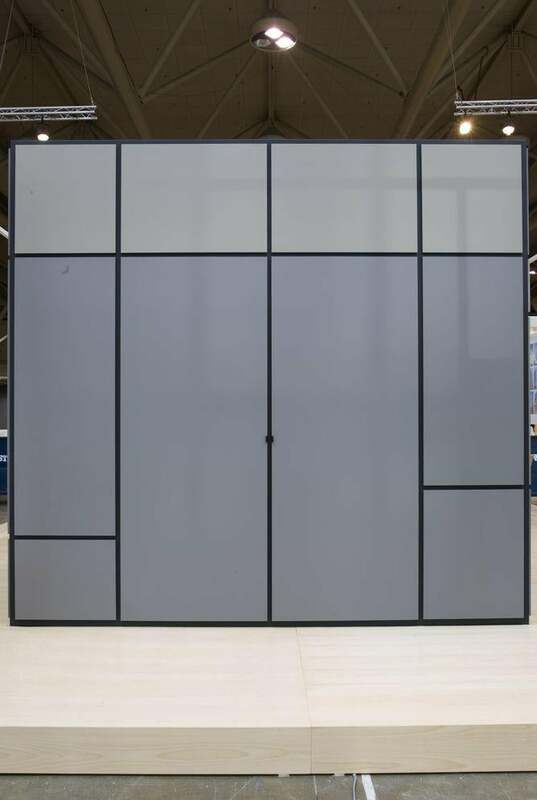 So although it looked great in the large, light-filled exhibition space at the Toronto show, figuring out how to get this giant module through the doors of most existing structures is an obvious obstacle (unless you’re lowering it into a roofless barn or sliding it into a converted double garage). 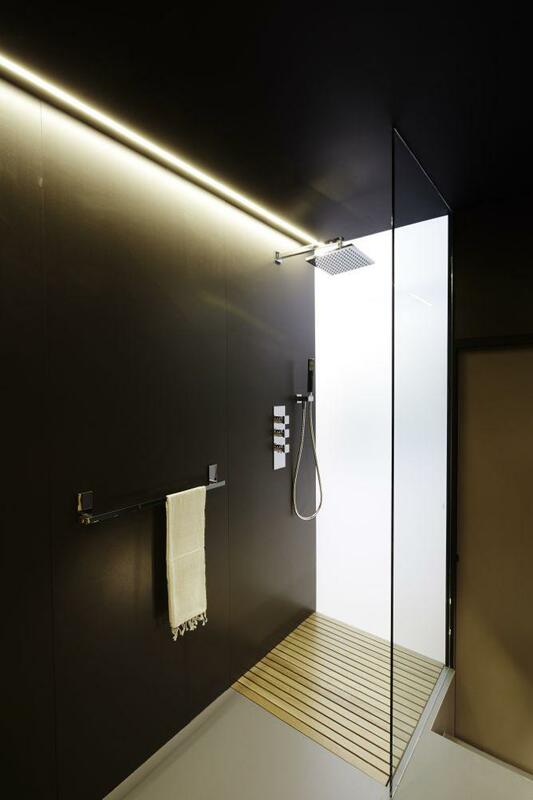 A glimpse into the bathroom. 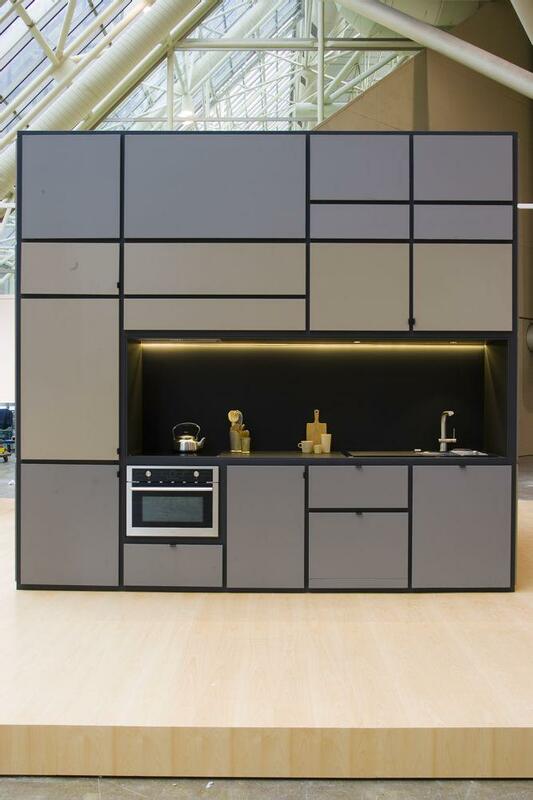 Despite the Cubitat’s size problem, the designers envisioned the cube as a theoretically mobile object, based on the concept of a transformable home. “The idea is to hoist and slide Cubitat onto a condo floor mid-construction. Build a platform for Cubitat in the cottage country of your dreams. Ship Cubitat from the city to the country so you retire in your own home,” a project description states.